Nigeria former President, Chief Olusegun Obasanjo, has written a letter to President of the United States Of America, Donald Trump. 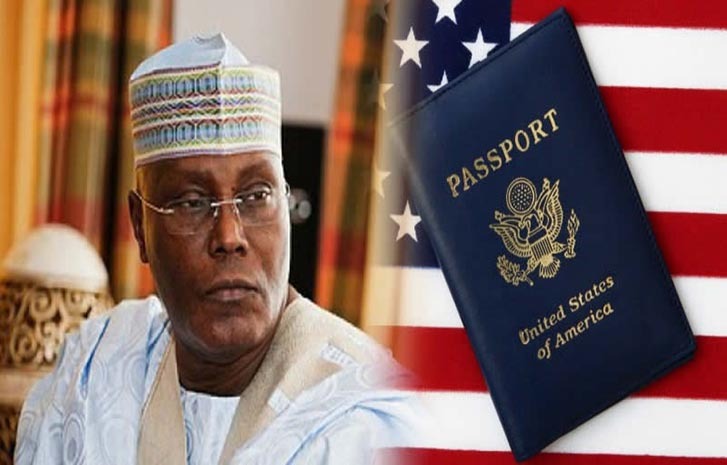 This is coming about 24 hours after it went viral in the media that the presidential candidate of the Peoples Democratic Party (PDP), Abubakar Atiku, has been granted a U.S. visa. Atiku had been banned from entering the U.S. for about 13 years over alleged money laundering. He partner in the alleged crime has already faced prosecuted. The ruling party in Nigeria, All Progressives Congress earlier raised an alarm that Obasanjo was pressurising the U.S. to grant visa to Atiku. It will be recalled that Obasanjo had publicly declare his support for Atiku, noting that “his (Atiku’s) sins have been forgotten”. Obasanjo’s media Aide, Kehinde Akinyemi, on Sunday confirmed that a letter was written. He, however, claimed that the letter written to Trump was to mourn the loss of former President of the United States of America, George H.W. Bush. Obasanjo described the death of the was 94-year-old World War II veteran as a loss not only to his country but the entire world. The former President stated that the news of the death was received with sadness. The former Nigerian President described George tenure as President as one that “marked a significant departure from the traditional relations between Africa and the United States. Obasanjo further remarked that “President Bush’s special interest in Nigeria was reflective of the special relations between our two countries. “Though the world would miss him, his legacies would continue to inspire many to reach the highest points of their productive, political and creative abilities.